*Minimum 2,000 Citi Miles required for rebate redemption. 2,000 Citi Miles = S$20 value. Thereafter, incremental of 1,000 Citi Miles can be redeemed for each S$10 rebate. 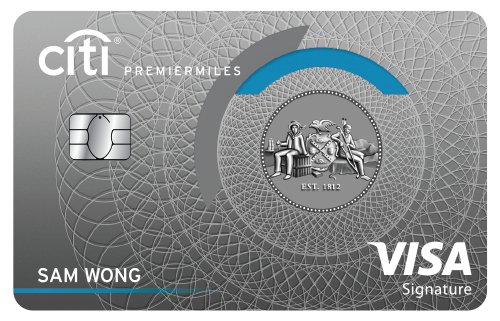 You get great deals and discounts with the Citibank PremierMiles Card especially when you are traveling. You also earn more miles if you use this card for overseas transactions. You can also accumulate your Citi Miles unlimitedly because your Citi Miles would never expire!